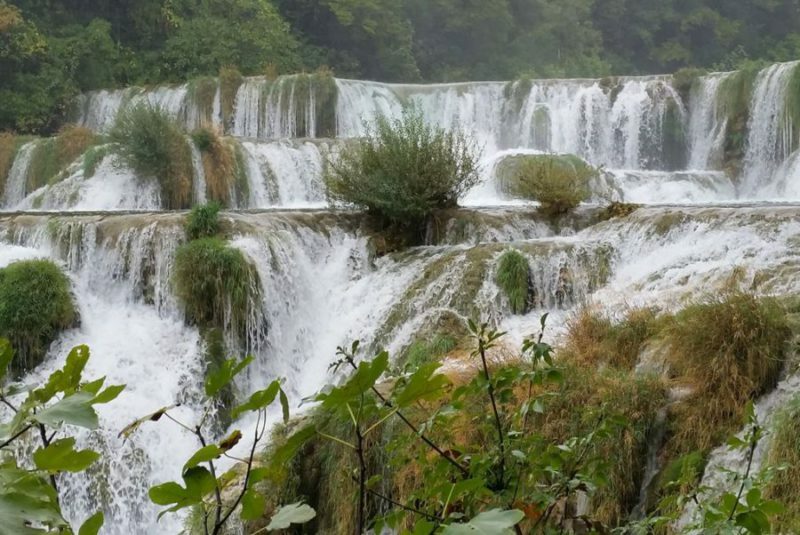 National Park Krka - Kuća Bajlo | Vegetarische B&B in Zadar, Kroatië! It’s very special and quite unique that you are allowed to swim in these lakes. 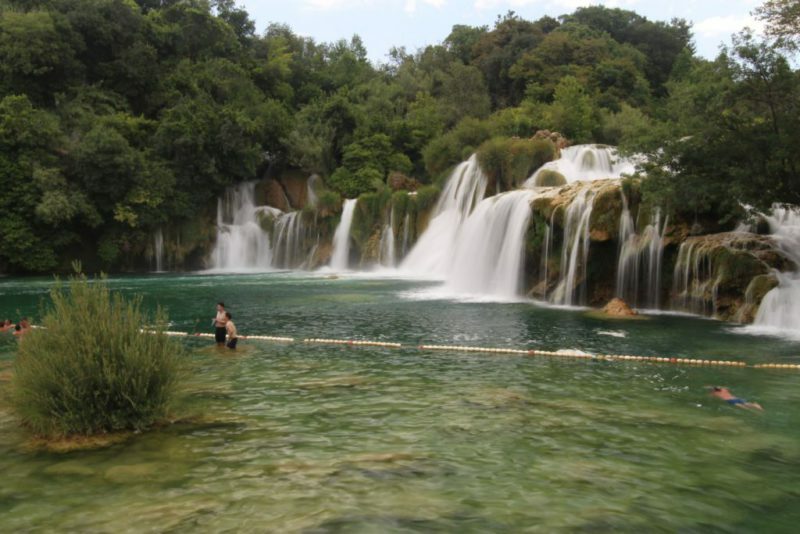 A dip in the crystal clear water, directly under the waterfalls, is an unforgettable experience. 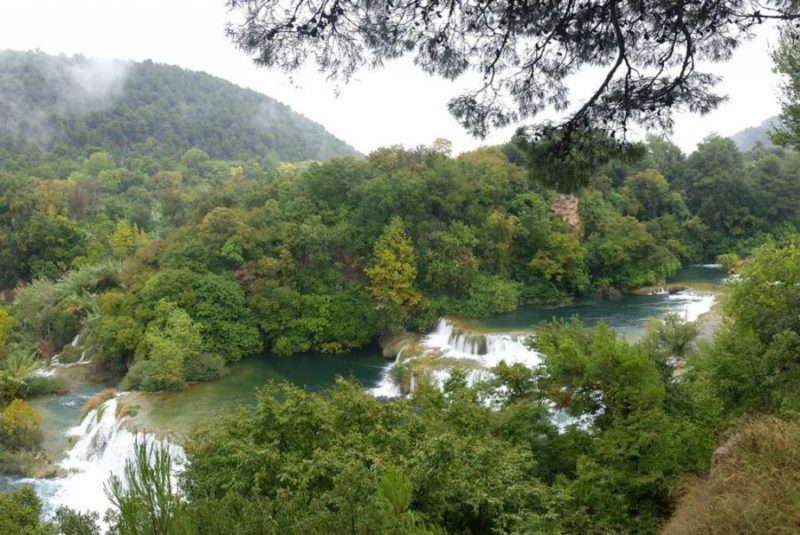 Skradin is one of the most important access places to the park. Boats sail regularly upstream to the waterfall. Also shuttle buses bring you from the car park Lozovac to the National Park. 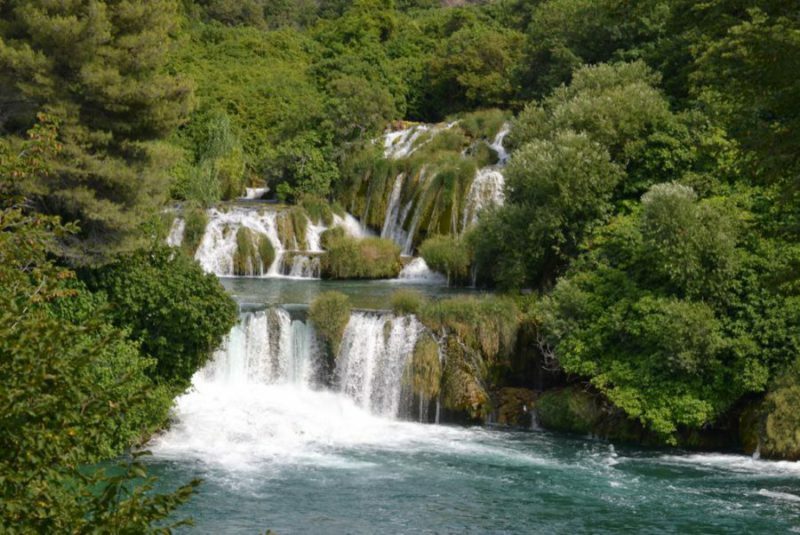 The most impressive waterfall is the one at Skradinski Buk. It’s the most visited part of the park and it can be very busy during high season. 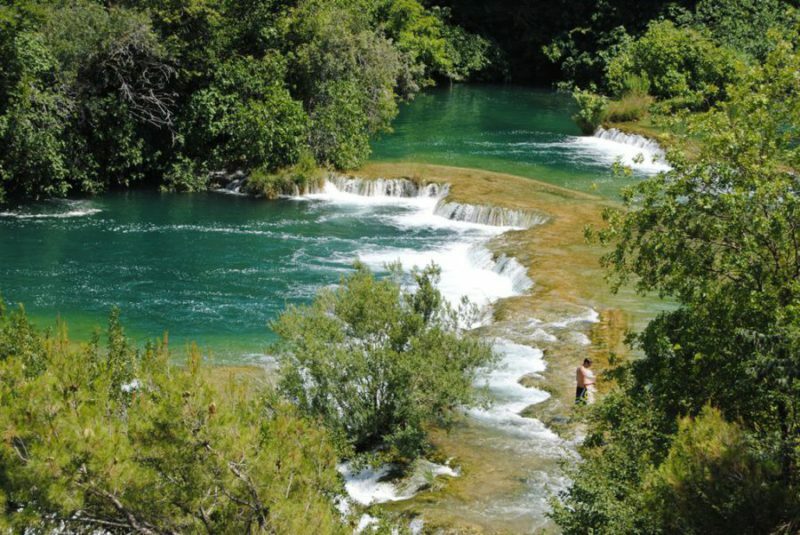 Our tip: worth visiting downstream is the park Roski Slap. 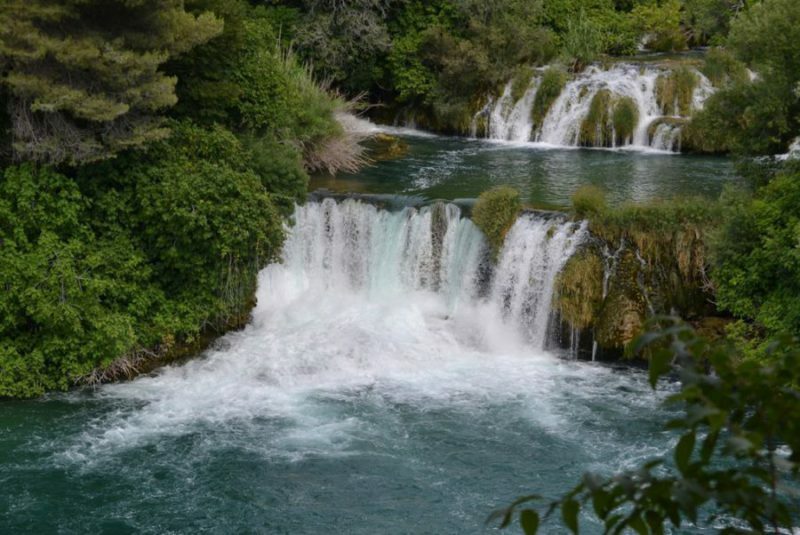 The waterfall is formed out of several smaller ones. 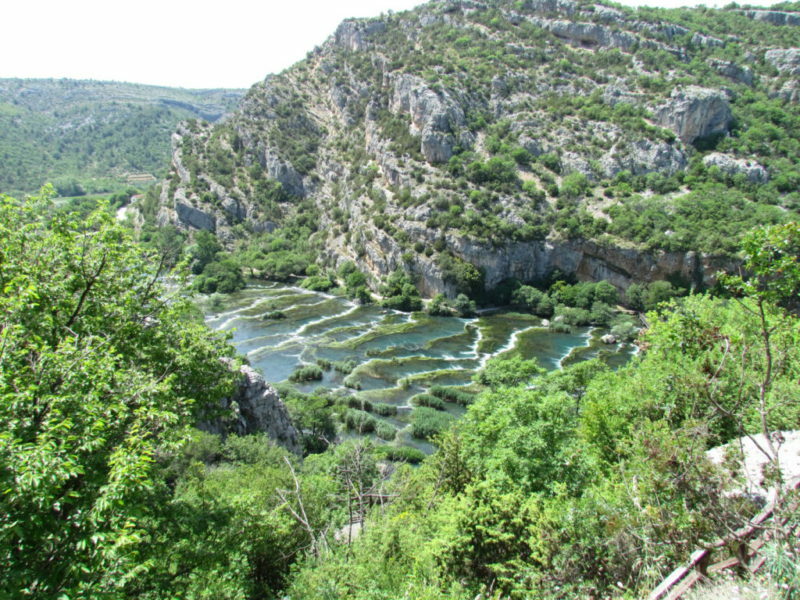 It’s an area with a rich vegetation .Up a big amount of stairs lead you to the Ozidana cave. From there the view over the national park is magnificent.